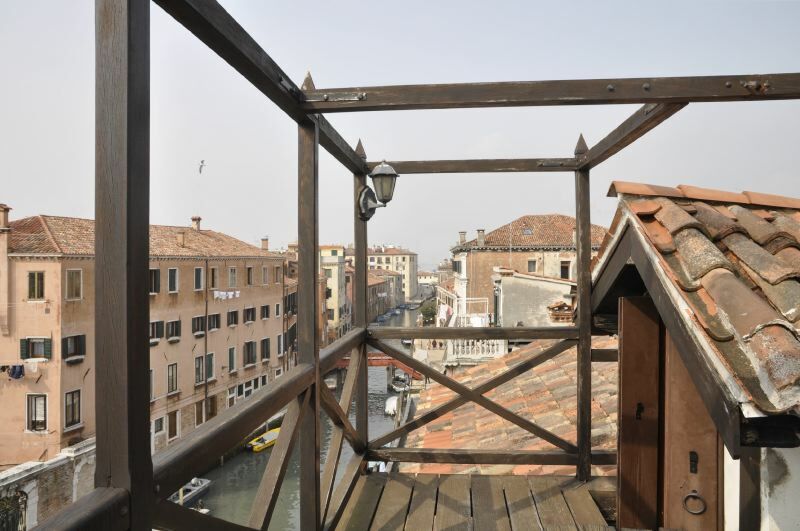 Elegant apartment situated in the Cannaregio district, recently renovated with great care and perfectly furnished and equipped, characterised by an attic which you access from a covered roof-terrace equipped with table and benches where you can enjoy a splendid view. 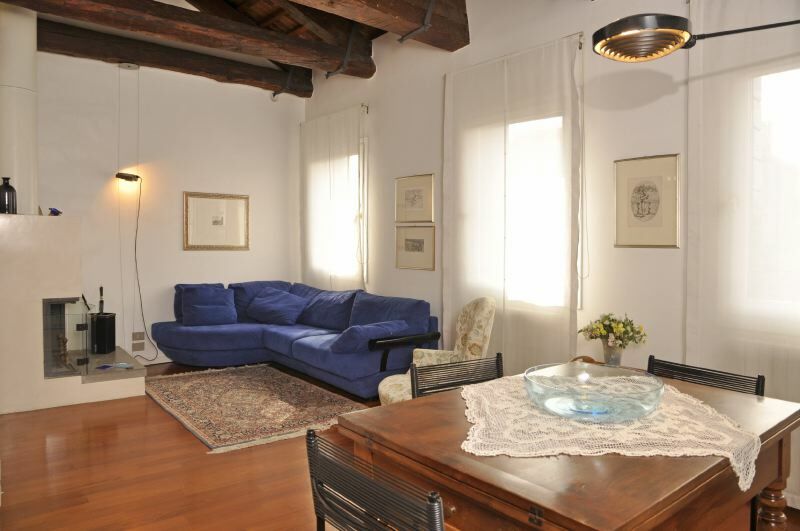 Located just a short distance from the Jewish Ghetto and Strada Nova, which links the railway station to Piazza San Marco, both of which you can reach in about 15 minutes on foot or by taking the convenient ferry bus. Cannaregio is definitely one of the most peaceful districts in the city, where you can pleasantly walk around out to discover the restaurants and taverns along its alleys. Some of the most important palaces and churches are located in this district such as Ca' d'Oro which overlooks Canal Grande, the church of Santa Maria dei Miracoli and Madonna dell'Orto. This apartment does not accept children under the age of 12 years because of the particular type of furniture and interior structure. 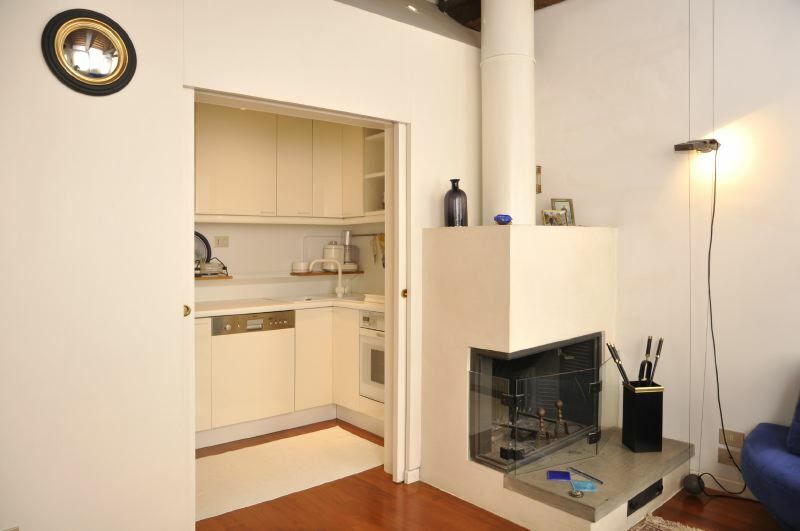 In the same building there is a second apartment: Silvana which can be rented together for large groups. SECOND FLOOR: spacious living-room with dining area with fireplace and satellite TV, WiFi and a kitchen corner with oven and dishwaser, 1 double bedroom with bathroom (no shower), 1 double bedroom, 1 bathroom with shower. Going up a spiral staircase you access the attic/study with double sofa bed. The ceiling height in the attic is approx. 2 m where there are beams that come down to about 1.5 m.
From the attic you access the panoramic roof-terrace equipped with table and benches.